A naïve young woman grows up in Appalachia with a divorced, loving mother. Her father was a womanizer stationed in various locations around the world in the armed services. Only after she was grown (and after both parents’ deaths) did she find out certain and hidden secrets about her father. As with most people, she encountered many of life’s challenges, which she describes, and how she faced and overcame them. 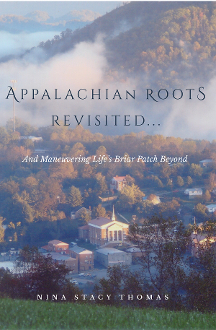 A bonus chapter featuring Appalachian recipes of her grandmother, Mama King, is included in the book.